Reservoir exists to help as many people as possible discover the love of Jesus, the joy of living, and the gift of community. We find that the teaching and practice and person of Jesus is a clear and compelling picture of the divine and helps guide us toward the joyful life and rich community we want as well. So we aim to center our church’s teaching and practice around the teaching and practice of Jesus. We are here to inspire people to discover the love of Jesus, the joy of living, and the gift of community. Everyone’s story matters at Reservoir Church, and we encourage everyone in our congregation to contribute and to lead. We hope you will join us and enjoy getting to know the amazing people who make our community rich, vibrant, and diverse. To get you started, these are the stories of our staff members and a bit of information about our governing board. On Sundays, we make space for enjoyable connection—with God and with other people. We've done our best to make Sundays as accessible as possible, whatever your background—whether you're a longtime church attendee or this is your first time giving it a try. 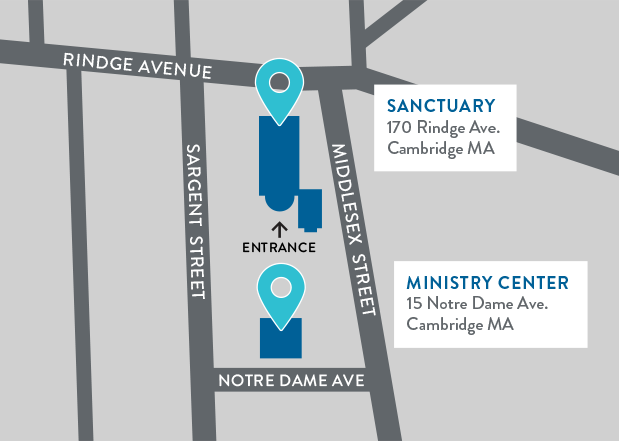 Our church has a long legacy of building relationships with the people who live and work in our neighborhood, and we continue to build sustainable and mutually-edifying partnerships with individuals and organizations throughout the City of Cambridge. 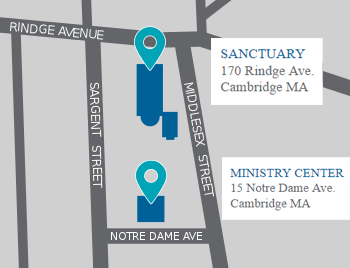 We are widely recognized as a church that loves our neighbors, and we partner with the public schools, the police, and our neighbors to sponsor events and meet needs in North Cambridge. In the mid-90s, three Cambridge residents noticed just how few people in our city were regular churchgoers. These three found themselves imagining a church that might experience powerful, Jesus-centered faith in a way that would make sense to people whose last church experience might have been in their childhood, or never. They contacted several friends and asked them if they’d consider starting just such a church together. And Reservoir Church was born. Reservoir Church is connected to a network of partners and friends who also care about the love of Jesus, the joy of living, and the gift of community. Giving is one of the most delightful and terrifying things we do. Few things are more fun than giving someone exactly what they want, few things more painful than having a gift awkwardly rejected. Because giving is so central to our human experience, it’s also an important aspect of our community life at Reservoir Church; we can do so much more together than any of us can do alone. We hope you’re enjoying your visit to our website. If you have any questions or would like to talk to a real person, we can do that. We’d also love to hear from you about anything on this site, or in our community, that you’ve found useful or encouraging.